April 1, 6:30 p.m. 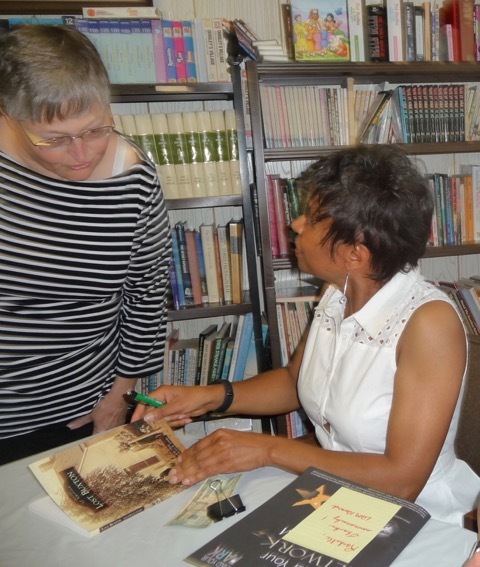 Presentation “Creating the Black Utopia of Buxton, Iowa” plus book signing sponsored by Beaverdale Books. Event will be held at Artisan Gallery 218, 218 – 5th Street, West Des Moines, IA. April 3, 6:00 p.m. Presentation “Creating the Black Utopia of Buxton, Iowa” plus book signing sponsored by Eddyville Public Library. Event will be held at Quilted Treasures and Retreats, Eddyville, Iowa. April 4, 6:00 p.m. Presentation “Creating the Black Utopia of Buxton, Iowa” plus book signing at Knoxville Public Library. Due to construction, event will be at East Elementary School, 614 E. Washington, Knoxville, Iowa. April 12, 5:30 p.m. Presentation “Creating the Black Utopia of Buxton, Iowa” plus book signing at Lowden Public Library, 605 Main Street, Lowden, Iowa. April 13, 3:00 p.m. Presentation “Creating the Black Utopia of Buxton, Iowa” plus book signing at Prairie Lights Books, 15 S. Dubuque Street, Iowa City, Iowa. 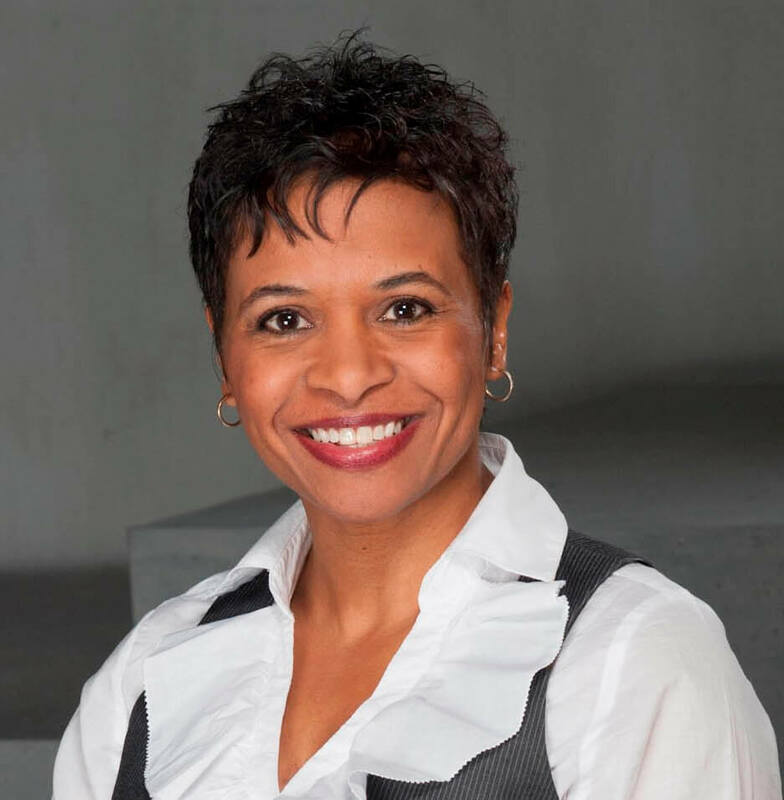 April 26, 5:00 p.m. Keynote speaker at Grubb YMCA Crocker Street Y Reunion, Grubb YMCA, 1611 – 11th Street, Des Moines, IA. April 27, 2:00 p.m. Presentation “Creating the Black Utopia of Buxton, Iowa” plus book signing at Revelations Café, 112 N. Main Street, Fairfield, IA. May 4, 11:00 – 2:00 p.m. Book signing at Plot Twist Bookstore, 502 N. Ankeny Blvd., Ankeny, Iowa. May 11, 1:00 p.m. 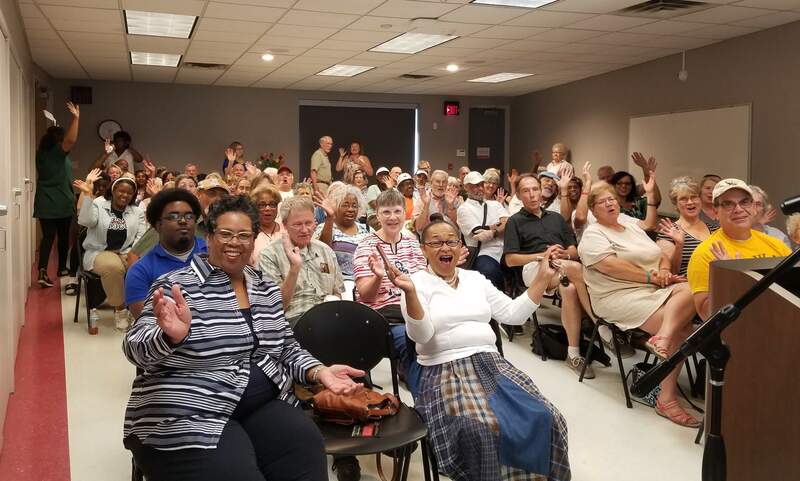 Presentation “Creating the Black Utopia of Buxton, Iowa” plus book signing at Des Moines County Historical Society, 501 N. 4th Street, Burlington, Iowa. May 14, 6:30 p.m. Presentation “Creating the Black Utopia of Buxton, Iowa” plus book signing at Pella Public Library, 603 Main Street, Pella, Iowa. June 9, 2:00 p.m. 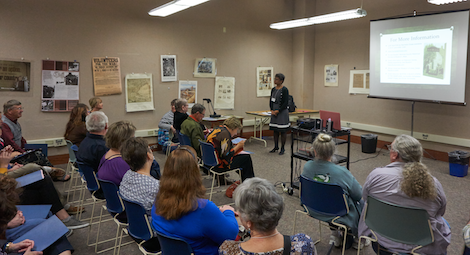 Presentation “Creating the Black Utopia of Buxton, Iowa” plus book signing at Carnegie-Stout Public Library, 360 W. 11th Street, Dubuque, Iowa. June 11, 5:00 – 7:00 p.m. Presentation “Creating the Black Utopia of Buxton, Iowa” plus book signing at Osceola Public Library, 300 S. Fillmore Street, Osceoloa, Iowa. July 13, 2:00 p.m. Presentation “Creating the Black Utopia of Buxton, Iowa” plus book signing at Events at the AME, 508 Cedar Street, Yankton, South Dakota. September 10, 6:30 p.m. Presentation “Creating the Black Utopia of Buxton, Iowa” plus book signing at Woodward Public Library, 118 S. Main Street, Woodward, IA. February 16, 2020, 2:30 – 3:30 p.m. 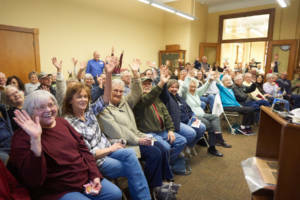 Presentation (TBD) and book signing as part of the West Des Moines Historical Society’s Iowa Files History Series at the West Des Moines Public Library, 4000 Mills Civic Parkway, West Des Moines, Iowa. February 23, 1:00 – 3:00 p.m. Free talk at Book Vault, 105 S. Market, Oskaloosa. After the talk, a Tea and Tour at the McNeill Stone Mansion B&B will be held. Cost is $35 and includes a copy of “Creating the Black Utopia of Buxton, Iowa”, tour of the McNeill Stone Mansion B&B and tea, along with a donation to the Mahaska County Historical Society & Museum. Contact Book Vault at 641-676-1777 for tickets. February 22, 2019, 5:00 – 8:00 p.m. Book signing at RAYGUN, 505 E. Grand Avenue, Suite 103, Des Moines, Iowa. 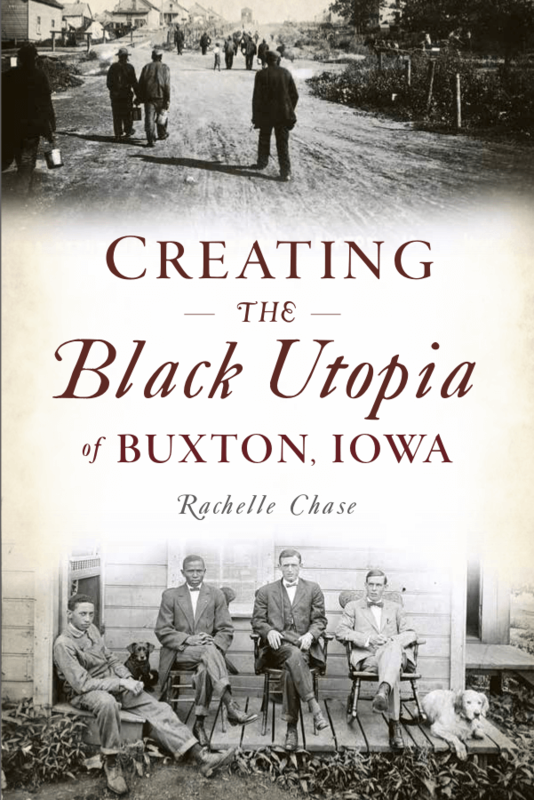 February 20, 2019, 5:30 p.m. Book signing plus presentation “Creating the Black Utopia of Buxton, Iowa” in the MTC Atrium at William Penn University, 319 “R” Avenue West, Oskaloosa, Iowa. February 10, 2019, 1:30 p.m. Book signing plus presentation “Buxton, Iowa: The Making of a One of a Kind Town” at Waukee Public Library, 950 Warrior Lane, Waukee, Iowa. March 29, 2018. I will kick-off the State Historical Society of Iowa – Des Moines Spring History Alive Program with a presentation about Buxton for students in Des Moines. March 24, 2018, 1:00 p.m. Book signing plus presentation of “Buxton, Iowa: A Coal Mining Town Ahead of Its Time” at Melcher-Dallas Public Library, 111 S. Main St., Melcher-Dallas, IA. March 24, 2018, 10:30 a.m. Book signing plus presentation of “Buxton, Iowa: A Coal Mining Town Ahead of Its Time” at Web Shadle Memorial Library, 301 W Dallas St, Pleasantville, IA. March 23, 2018, time TBD. Book signing plus presentation of “Buxton, Iowa: A Coal Mining Town Ahead of Its Time” at the 14th Annual Diversity Conference, Indian Hills Community College, 525 Grandview Avenue, Ottumwa, IA. March 20, 2018, 12:00 p.m. – 1:00 p.m. Book signing plus presentation of “Buxton, Iowa: A Coal Mining Town Ahead of Its Time” as part of the Harlan-Lincoln Brown Bag Lecture Series, Harlan-Lincoln House, Iowa Wesleyan University, Chadwick Library – International Room, 107 W. Broad Street, 1st Floor, Mt. Pleasant, IA. February 27, 2018, 7:00 p.m. Book signing plus presentation of “Buxton, Iowa: A Coal Mining Town Ahead of Its Time” at Muscatine Community College, Student Center, 152 Colorado Street, Muscatine, IA. February 25, 2018, 1:00 p.m. Book signing plus presentation of “Buxton, Iowa: A Coal Mining Town Ahead of Its Time” at Johnson County Historical Society, 860 Quarry Road, Coralville, IA. February 22, 2018, 9:40 a.m. – 11:00 a.m. Book signing plus presentation of “Buxton, Iowa: A Coal Mining Town Ahead of Its Time” at DMACC Urban Campus, 1100 7th Street, Des Moines, IA. February 13, 2018, 12:00 p.m. Book signing plus presentation of “Buxton, Iowa: A Coal Mining Town Ahead of Its Time” at the Women’s Club, Hotel Ottumwa, 107 2nd Street East, Ottumwa, IA. February 8, 2018, 5:00 p.m. Book signing plus presentation of “Buxton, Iowa: A Coal Mining Town Ahead of Its Time” at Wapello County Historical Society, 210 W. Main Street, Ottumwa, IA. February 6, 2018, 6:00 p.m. Book signing plus presentation of “Buxton, Iowa: A Coal Mining Town Ahead of Its Time” at the American Association of University Women (AAUW) meeting, New Bethel Church, 1217 Morgan Street, Keokuk, IA. February 3, 2018, 12:00 p.m. – 4:00 p.m. “Buxton Revisited” will feature organizations, businesses, families, and individuals – including me – with Buxton connections sharing information, pictures, and memorabilia about Buxton. Event at Forest Avenue Library, 1326 Forest Avenue, Des Moines, IA. November 21, 2017, 7:00 p.m. Book signing plus presentation of “Buxton, Iowa: A Coal Mining Town Ahead of Its Time” at the Des Moines County Historical Society, 501 N. 4th Street, Burlington, IA. November 17, 2017, 10:00 a.m. Panel discussion plus book signing at the Sterling Lord Writers and Readers Festival, Burlington Public Library, 210 Court Street, Burlington, IA. October 19, 2017, 6:30 p.m. Book signing plus presentation of “Buxton, Iowa: A Coal Mining Town Ahead of Its Time” at the Eddyville Historical Society, Eddyville, IA. October 14, 2017, 10:00 a.m. – 12:00 p.m. Book signing at the Indie Author Day, Ottumwa Public Library, 102 W. Fourth Street, Ottumwa, IA. August 10, 2017, 6:30 p.m. Book signing plus presentation of “Buxton, Iowa: The Coal Mining Town That Vermonter Ben Buxton Built” at the Phoenix Books, 2 Center Street, Rutland, VT.
August 5, 2017, 2:00 p.m. Book signing plus presentation of “Buxton, Iowa: The Coal Mining Town That Vermonter Ben Buxton Built” at the Middletown Springs Historical Society, Middletown Springs, VT.
July 29, 2017, 2:00 p.m. Book signing plus presentation of “Buxton, Iowa: A Coal Mining Town Ahead of Its Time” at the Forest Avenue Library, 1326 Forest Ave, Des Moines, IA. July 22, 2017, 11:00 a.m. – 2:00 p.m. Book signing at Plot Twist Bookstore, 502 N Ankeny Blvd, Unit 6, Ankeny, IA. July 17, 2017, 6:30 p.m. Book signing plus presentation of “Buxton, Iowa: A Coal Mining Town Ahead of Its Time” at Artisan Gallery 218, 218 5th Street, West Des Moines, IA. June 12, 2017, 11:00 a.m. Book signing plus presentation of “Buxton, Iowa: A Coal Mining Town Ahead of Its Time” at Pennsylvania Place Senior Living, 1 Pennsylvania Place, Ottumwa, IA. June 8, 2017, 3:00 p.m. Guest on KPOO 89.5 “Connecting the Dots” with Judy Drummond. June 6, 2017, 12:00 p.m. Presenting “Buxton, Iowa: A Coal Mining Town Ahead of Its Time” at Kiwanis, Hotel Ottumwa, Fox & Sac Room, 107 2nd Street East, Ottumwa, IA. May 20, 2017, 11:00 a.m. Book signing at Burlington By the Book, 301 Jefferson Street, Ste. 3, Burlington, IA. May 15, 2017, 7:00 p.m. Book signing plus presentation of “Buxton, Iowa: A Coal Mining Town Ahead of Its Time” at the Nelson Pioneer Farm & Museum, 2211 Nelson Lane, Oskaloosa, IA. May 2, 2017, 7:00 p.m. Presentation on Buxton, Iowa at the Wapello County Medical Society, Ottumwa Country Club, Ottumwa, IA. 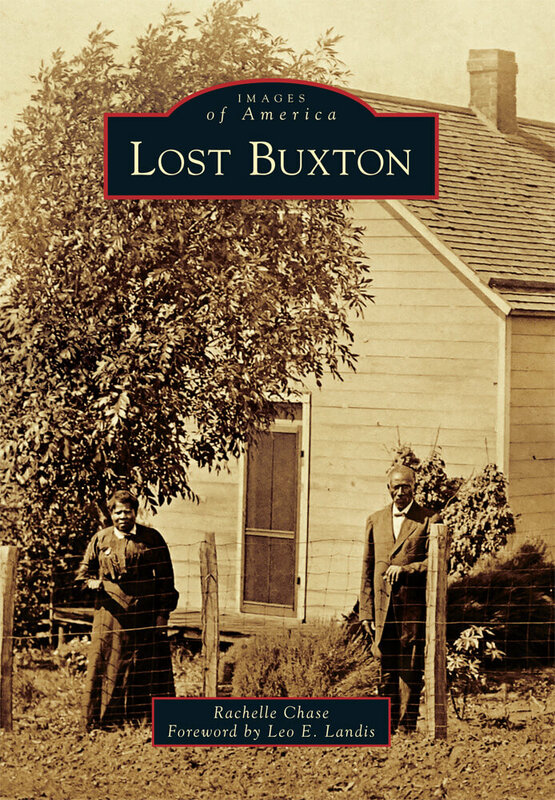 April 23, 2017, 2:00 p.m. Book signing plus presentation of “Buxton, Iowa: A Coal Mining Town Ahead of Its Time” at the Annual Tea (fundraiser) for Lewelling Quaker Museum, 2:00 p.m., Salem Congregational Church, 106 E. Oak Street, Salem, IA. April 8, 2017, 9:00 a.m. – noon. Fifth Annual Ankeny Authors Fair, featuring 54 local authors, at the Pinnacle Club, 4100 NE Otter Creek Drive, Ankeny, IA. April 1, 2017, 4:00 – 6:00 p.m. Book signing plus presentation of “Buxton, Iowa: A Coal Mining Town Ahead of Its Time” at The American Gothic House, 300 American Gothic Street, Eldon, IA. March 25, 2017, 10:00 a.m. Book signing plus presentation of “Buxton, Iowa: A Coal Mining Town Ahead of Its Time” at Eddyville Public Library at 202 South 2nd Street, Eddyville, IA. Refreshments will be served. March 11, 2017, 1:30 p.m. Book signing plus presentation of “Buxton, Iowa: A Coal Mining Town Ahead of Its Time” at Revelations Café, 112 N. Main Street, Fairfield, IA. February 24, 2017, 7:00 p.m. Book signing plus presentation of “Buxton, Iowa: A Coal Mining Town Ahead of Its Time” at Prairie Lights, 15 South Dubuque St., Iowa City, IA. February 23, 2017, 10:00 a.m. Guest on Iowa Public Radio’s “Talk of Iowa” program. February 18, 2017, 1:00 p.m. Book signing plus presentation of “Buxton, Iowa: A Coal Mining Town Ahead of Its Time” on the 3rd floor of the Book Vault at 105 S. Market Street, Oskaloosa, IA. February 14, 2017, 11:00 a.m. Presenting “Buxton, Iowa: A Coal Mining Town Ahead of Its Time” in the Genealogy Room at the Wapello County Historical Museum, 210 W. Main St, Ottumwa, IA. January 24, 2017, 10:00 a.m. Presenting “Buxton, Iowa: A Coal Mining Town Ahead of Its Time” at the Reminisce Society, Ottumwa Public Library, Ottumwa Library Meeting Room, 102 W. 4th Street, Ottumwa, IA. 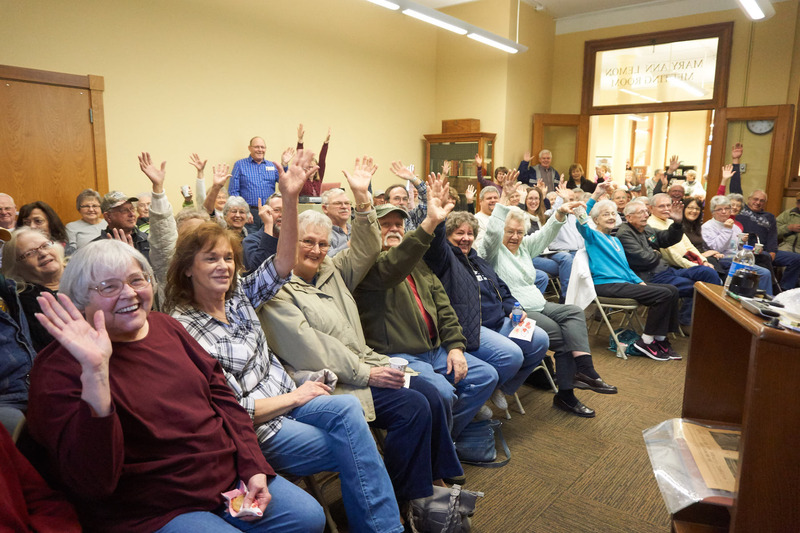 November 5, 2016, 9:00 a.m. Presenting “Buxton, Iowa: A Coal Mining Town Ahead of Its Time” at Iowa History Camp, State Historical Museum of Iowa Museum, 600 E. Locust Street, Des Moines, IA. February 18, 2016, 6:00 p.m. Rachelle Chase is co-presenting with Krystal Gladden of the African American Museum of Iowa, “Iowa’s African American History: Looking Towards Ottumwa”, at the Railroad Clubhouse (Wapello County Historical Museum), 242 W. Main Street, Ottumwa, IA.